This guide sets out the causes, impact, signs and symptoms of banana black Sigatoka and offers practical advice on management through prevention and control strategies. This guide sets out the causes, impact, signs and symptoms of banana bunch top virus and offers practical advice on management through prevention and control strategies. This guide sets out the causes, impact, signs and symptoms of banana weevils and offers practical advice on management through prevention and control strategies. 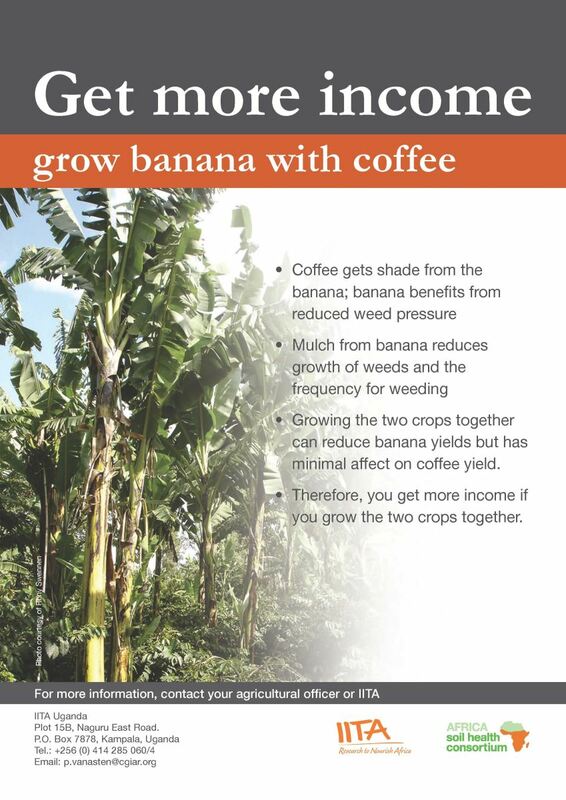 A 88-page A4 field guide that provides a details of coffee banana cropping methods focusing on good agricultural practices for coffee banana production that promote integrated soil fertility management. This is the black and white, easy to print version produced by ASHC.